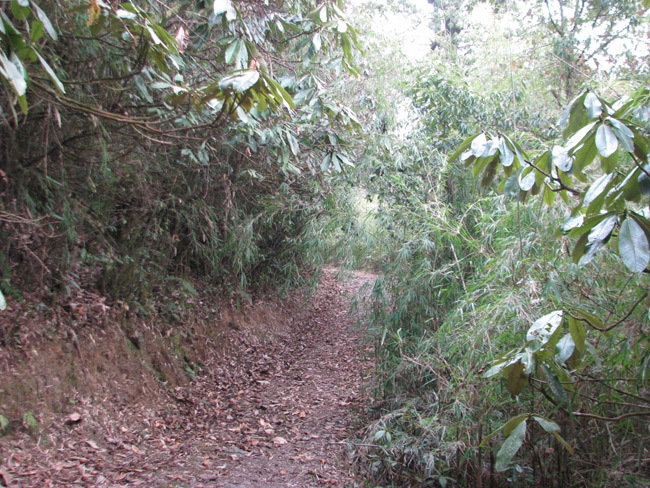 Places to see in Okhrey: Okhrey is famous for being the base for the famous Hilley – Varsey Rhododendron trek. 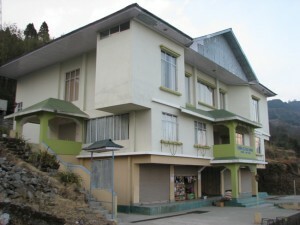 Hilley, which is the checkpost for the 4 km long trek to Varsey is just 10 kms from Okhrey by car. While travelling to Hilley from Okhrey, you would enjoy the view of the magnificent Mt. 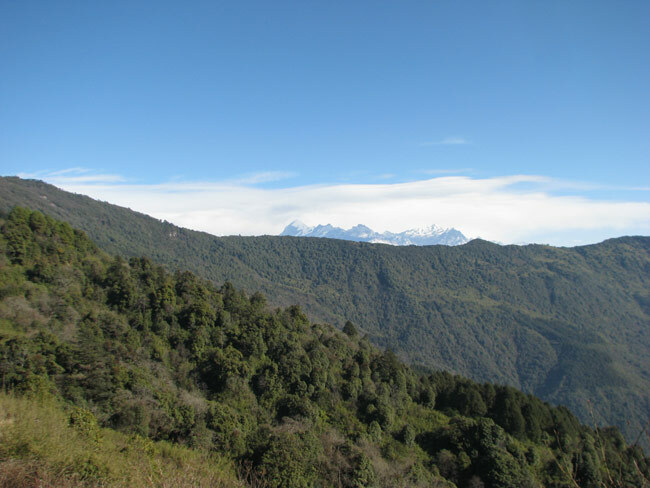 Kanchenjungha range. If you climb up the slope of the hill, you can spot a serene village called Latitar. Another popular tourist attraction of the place is the Ugen Thon Meon Ling monastery, which is visited by travelers passing through this way. 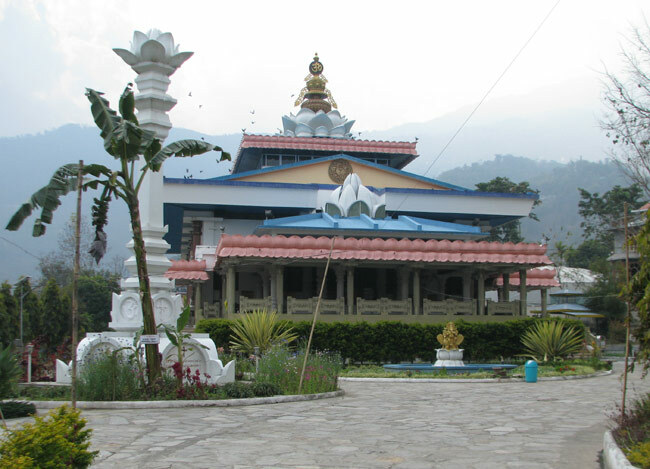 The monastery is operated by the Tibetan missionaries and features a small school. Nearby attractions around Okrey: You can make a trip to Hilley, located 10 km. from Okhrey, which marks the beginning of the Hilley – Varsey Rhododendron trek. There is a beautiful Sai Temple in Daramdin just 28 kms away. Other nearby attractions of Okrey are the view point Jureli Dara around 18 kms away, the Anden Olong Monastery (20 kms away), Kitan Falls, Dodak Helipad, Butterfly Shape Valley and numerous other view points. You can visit most of these destinations while travelling from Somabaria to Okhrey – they would fall on the way. 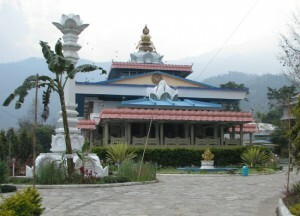 Other attractions that you cover in a sightseeing trip of Okhrey are Devi Falls, Gathang alls, the EPC church (one of the oldest churches of Sikkim) and a Lepcha Museum. 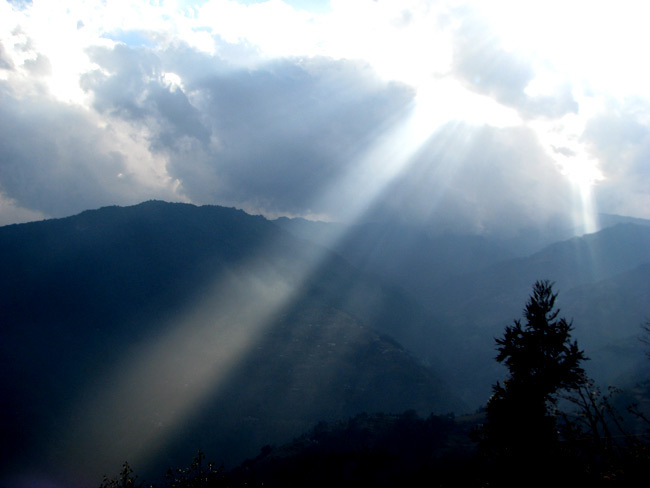 Things to do in Okhrey: Trekking is the favorite activity of the tourists visiting Ohkrey. The towering mountains on the northern part of Okhrey also beckon the adventurous tourists to enjoy a rambling walk along the winding mountainous paths. Most tourists travel to Hilley by car from Okhrey (10 kms) and start the 4 kms long Hilley – Varsey Rhododendron Sanctuary trek. The sanctuary offers excellent views of Mt. Kanchenjungha and endless stretches of Rhododendrons in their array of red, pink and white colours. Birdwatching is another great activity to be enjoyed from Okhrey. How to reach Okhrey: Okhrey is located at a distance of 130 km. from the New Jalpaiguri station. A number of trains halt at the New Jalpaiguri station. Regular jeep services are available from Jorethang. It takes about an hour to reach the destination. 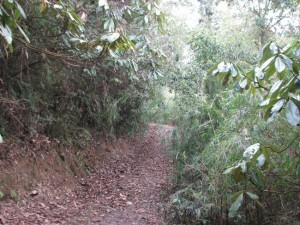 The route from New Jalpaiguri is Teesta Bazar – Jorethang – Sombaria – Okhrey. Best time to visit Okhrey: Okhrey can be visited throughout the year. You can enjoy magnificent views of Mt. Kanchenjungha in October to January. To see Rhododendrons in full bloom, you should visit Okhrey from mid of March to mid of April every year. Birdwatching can be enjoyed throughout the year. Lodging and dining facilities in Okhrey: There are three different lodging facilities in Okhrey – Deluxe, Comfort Lodge, Homestay. The accommodation options come with attached western bathrooms, room heaters, geysers and even TVs. 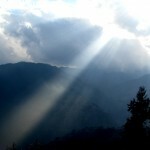 These accommodations can also arrange trek guides for the guests. There are Double Bedrooms, Triple Bedrooms and nine bed dormitories too in Okhrey. Good dining facilities are available in all the accommodations.